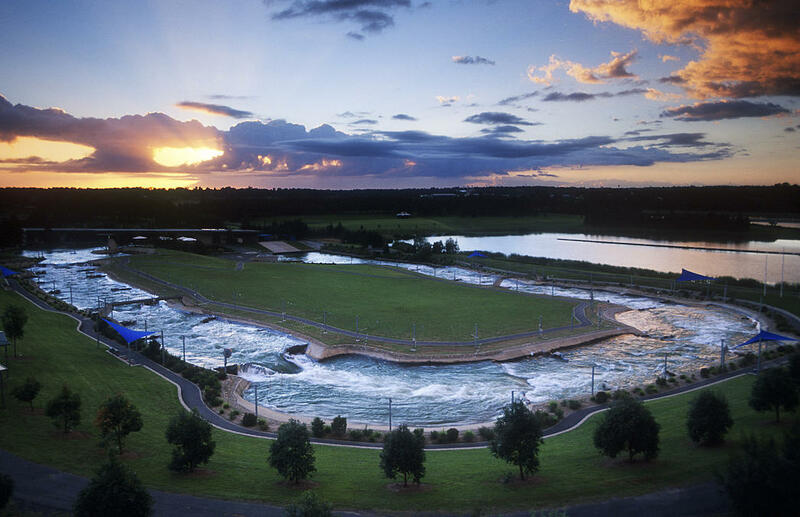 Penrith Whitewater is available from September to June for whitewater rafting, kayaking, swiftwater rescue training and hosts local, national and international slalom competitions. 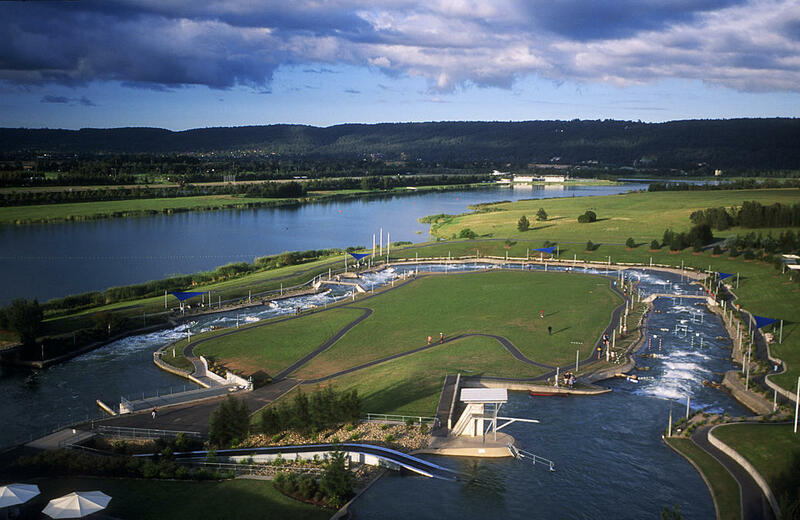 The course has been constructed using a combination of both natural and man-made materials to recreate the characteristics of a natural whitewater river. Water is drawn from the nearby warm-up lake by six 300kw submersible pumps. Each pump delivers 2,800 litres (2.8 cubic metres) of water per second to the start pool at the top of the course, from where it flows down to the finish pool. The river flows at 14 cubic metres of water per second or 5 pumps. The channel itself is concrete and varies in width from 8 metres to 14 metres. It is 320 metres long, drops 5.5 metres top to bottom and is constructed in a “U” shape. 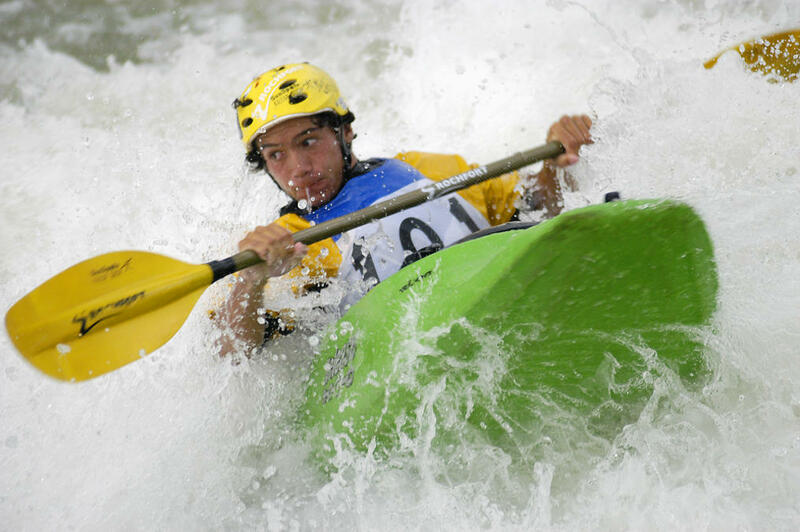 A moveable obstacle system makes it possible to change the whitewater. 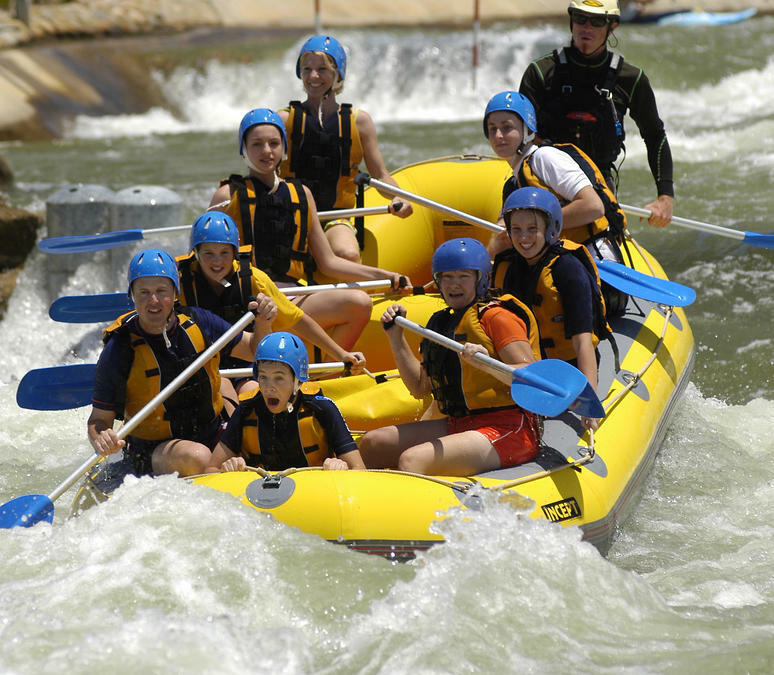 A conveyor carries rafts, canoes and kayaks along with their occupants from the bottom of the course to the top.